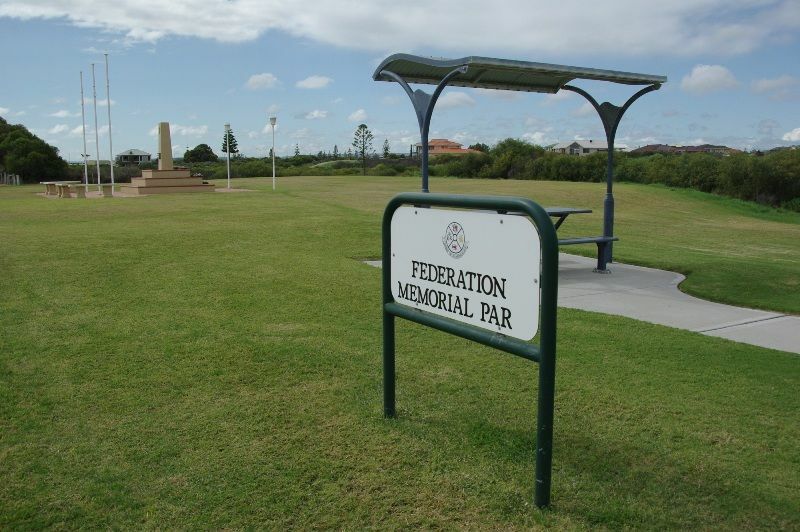 Federation Memorial Park was established to commmemorate the Centenary of Federation in 2001. In May 1999, a number of community-based projects in the Upper Wheatbelt were allocated State Government funding as part of celebrations to mark the Centenary of Federation in Western Australia. The Jurien Bay Progress and Tourism Association was allocated $10,000 to develop a Federation Memorial Park and War Memorial on the foreshore at Jurien Bay.